Step into Final Fantasy XV: A New Empire and join the adventure! Play with Noctis, Cindy, Lunafreya, and many more of your favorite characters! Explore the endless world of Eos, hunt for treasure, and Rule the Realm! LOG IN NOW to see the LATEST UPDATES!. . * Join a Guild to make friends with other players.. * Face off against other Guilds, Realms, or fight for the Crystal!. * Defeat new monsters for amazing Loot!. * Unlock stronger Troops!. * And More! Alexis Ren is waiting for you! Join the adventure! Be the hero of your own Final Fantasy XV adventure in the brand new mobile strategy game Final Fantasy XV: A New Empire! Build your own kingdom, discover powerful magic, and dominate the realm alongside all of your friends! 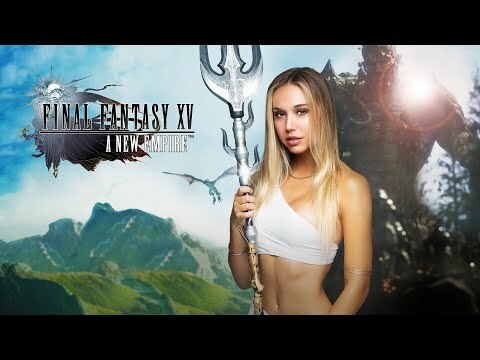 Final Fantasy XV: A New E... xem thêm Alexis Ren is waiting for you! Join the adventure! Be the hero of your own Final Fantasy XV adventure in the brand new mobile strategy game Final Fantasy XV: A New Empire! Build your own kingdom, discover powerful magic, and dominate the realm alongside all of your friends!